Beautiful glow without the sun! Summer is long gone and winter is right around the corner, and we just “fell back” an hour so we will be getting even less hours of sunshine. I am very white, like bright white, so it isn’t like I go sun bathing anyways. However, I enjoy the slightest tint of color I get on my skin after taking a nice long walk outside. Lucky for us, there are other ways we can get glowing skin even without the sun! Eating lots of fruits and veggies gives your skin a lovely glow. This needs to be a daily thing, not like once a year or on special occasions type of thing. Overexposure to the sun causes damage or maybe even skin cancer if you get carried away with it. So I feel it is a fair swap, eat more veggies for glowing skin rather than lathering up with oil and baking yourself for hours. You can actually get more color in your skin from chowing down on broccoli, carrots, and spinach. 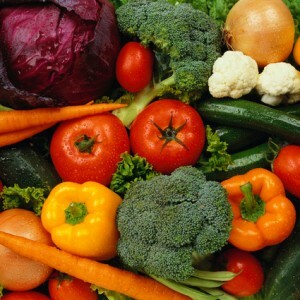 Most of us do not eat enough brightly colored veggies to make a difference in our skin tone and overall health. You can juice so many different types of produce that you can really try some new variation every day! Have two glasses of fresh veggie juice every day and you will tackle four servings! This will definitely make a difference in how you look and feel! Carotenoids are antioxidants that are found in people that eat plenty of fruits and veggies every day. They help wipe out harmful toxins that damage us due to bad food choices, environmental toxins, and just every day stresses of living. We could all use a little more carotenoids in our bodies to help us in the battle to good health and glowing skin! So before heading to the tanning salon this winter, head to the farmer’s market! Load up on fresh produce for you and your family. Your skin will look lovely and your body will show amazing results too! Do you juice your veggies or do you prefer to eat them to get your four servings a day? I prefer to eat whole veggies. Don’t you get more fiber benefits that way? I have been on “low carb” long before Michelle Obama decided to get on the band wagon so she can take more credit for herself….. Do we always have to make our life styles political and include the Obama’s. I like to think I can make decisions on my own and don’t have to include any part of the government in any of my decisions on how I live my life. I am very offended that you have chosen a political avenue for your blog. This is in no way political. I don’t keep track of what Mrs Obama is eating. If she is eating low carb, kudos to her, but my site and post are not about her or politics at all.